The number one thing we can do to catch a viewer's eye is to make something move. In this session, you'll discover a wealth of animation tools you can use immediately to captivate the eye of a viewer. 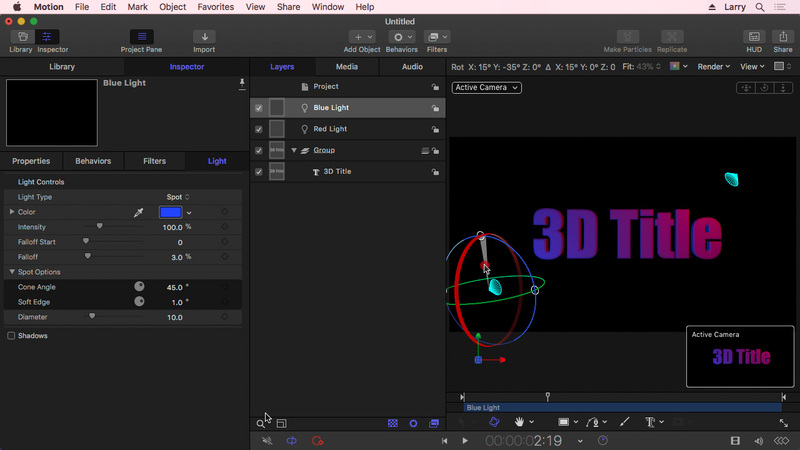 Last week, we looked at creating text effects in Apple Final Cut Pro X. In that session, we discovered that there are substantial limitations on how we could move and animate text. So, this week, we look at how to use the more powerful text tools in Motion to create more extensive text animation. The number one thing we can do to catch a viewer’s eye is to make something move. In this session, you’ll discover a wealth of animation tools you can use immediately in your projects to captivate the eye of a viewer. This is an intermediate-level session; some knowledge of Motion will be helpful. However, this won’t teach the entire Motion interface. This is delivered as a QuickTime movie, you don’t need to own Motion to watch this training. – Why use Motion for text?